What Could Go Wrong in a Real Estate Sale? Things in life can, and will, go wrong sometimes. That includes selling real estate, so let’s discuss what can potentially happen and how you can navigate through any unforeseen issues. The longer a house sits on the market with no interested buyers, the more money it is going to cost the seller. The seller is typically still paying a mortgage, property taxes and insurance. The seller may also be expected to reduce their asking price. A property remaining on the market for an extended amount of time may result in the seller losing or spending more money than they had anticipated in the long run. A house may be listed at the right price with a buyer lined up, and then the entire deal falls apart. The reasons for this happening can be one of many different scenarios. Perhaps a buyer passes away, loses a job, or changes their mind. This can occur even after a contract is signed. Contingencies are a completely legitimate reason for deal to go south, meaning if something goes wrong with the buyer’s current home sale, they may be unable to make the purchase on their new house happen. Sometimes the property itself has issues. Mold, termites and foundation cracks are just a few of the many concerns potential buyers may run into during inspections. Issues and concerns with the actual property itself can be more than enough to stop the sale from going through. Even when the property is perfect and there is an eager buyer ready to make a purchase, third parties can muddy the waters. Lenders and title companies may inhibit a sale for any number of reasons, ensuring that all paperwork is in place and accurate. The good news is that there are preventative measures to help avoid potential problems. It is impossible to foresee every possible scenario that may arise, but performing your own research and working under the guidance of a real estate professional will gain you the highest probability of a hassle-free transaction. A good agent is experienced in avoiding potential problems that are known to pop up in real estate deals. He or she is also familiar with working hand-in-hand with lenders and title companies. When there are questions, a professional REALTOR® will find answers. The last thing you want, as a seller, is a property issue that prevents a sale from closing. If an inspector finds mold, structural issues or any other problems, you’ll be able to address them before a buyer makes an offer. 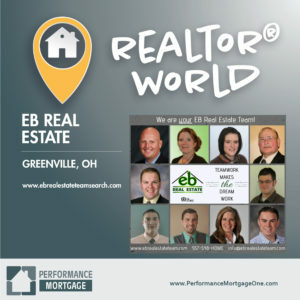 Our team of professional REALTORS® is here to walk you through the entire sales process.